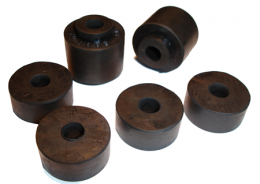 Driveshaft retainer bushing kit. Replaces original GM part #1466147 and 1466149. 6 piece kit, 1 kit required per car. MADE IN THE USA.